YOUR ONE STOP PARTY SHOP!! Thank you for visiting our website!! We are more then Balloons and Party Supplies, we also have a full Flower Shop to help you with every Occasion. We Deliver to your event big or small including setup and can take down if required. Not only do we have hundreds of balloons to choose from, but we also stock a wide variety of Milestone, Bridal, Wedding, Anniversary, along with children's theme and everyday birthday non-theme party supplies. 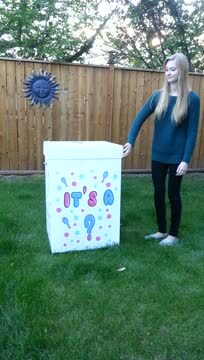 Check out the pictures and videos of our Rentable Cake Pans, Baby Unveiling/Gender Reveal Box and Lawn Storks Boy/Girl below!! Given enough lead time, if we don't have the balloons you are looking for and they are in stock with our wholesalers, we will bring them in for you (sometimes with in 24 hour's)!! We carry balloons/custom, candles, cards for all occasions, piñatas/fillers, gift wrap, gift bags/boxes, streamers/decorations, and so very much more at unbelievable low prices! Thank you for your time and support, and we look forward to serving you in the future. We're sure you'll be happy working with us!! Balloons Galore with Fresh Flowers & More is focused on providing high-quality service and customer satisfaction; we will do everything we can to help you meet your needs for a great party. To stay up-to-date, Find and Like us on Facebook or Instagram for new and exciting party supplies!! Look around our website, and if you have any comments or questions, please feel free to contact us. Check back later for new updates to our website. There's so much more to come!!! What a great way to share your news with family, friends and your neighbors. Come in and rent one of our custom made Lawn Storks. Having a baby? 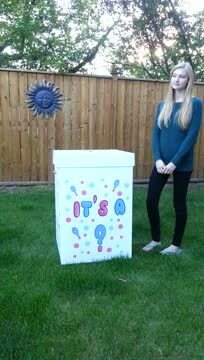 Bring in your ultrasound results and we will put the colour of balloons to what you are having in the box. What a great surprise for you, your family and friends to share. Have fun creating with one of our Cake Pans. At this time we have 28 different pans to choose from. Contact us for prices on deliveries.